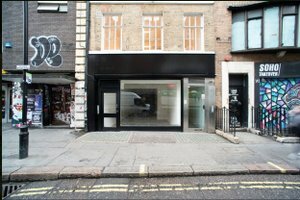 This contemporary space in SoHo is ideal for a Fashion Showroom, Art Exhibition, Pop-Up, or Private Event. 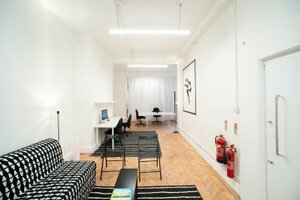 This is a Dry Hire Space with electricity, lighting, Heating , WC and WIFi inc - Furniture pictured can be included at no charge! 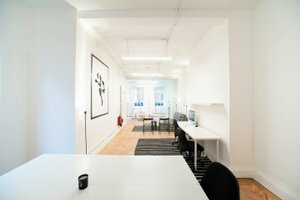 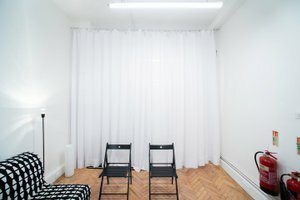 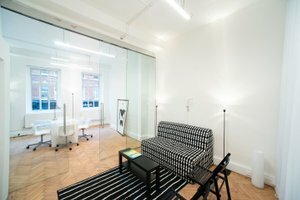 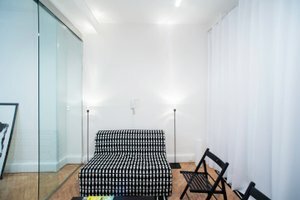 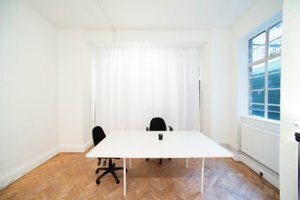 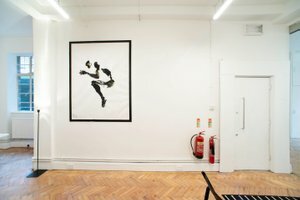 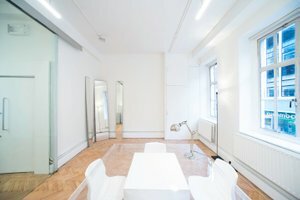 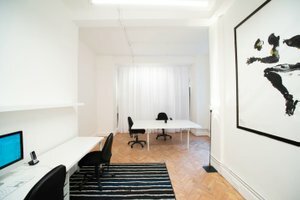 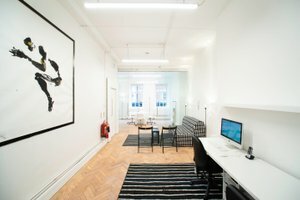 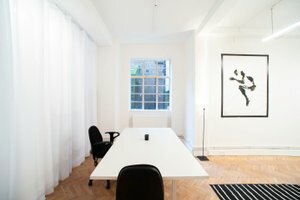 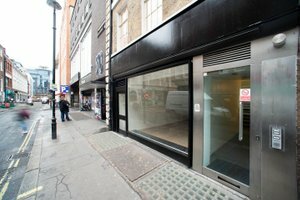 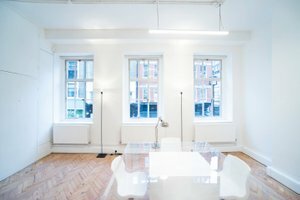 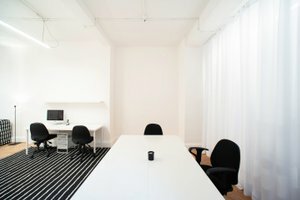 This 300sqft space is on the first floor in a prime location, newly refurbished building close to Oxford circus and Liberty Department store , it benefits from use of a Reception area that you can brand with your own logo or furnishing if you choose, making an ideal Fashion showroom, Private Sale or meeting room. 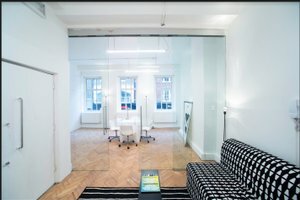 The space also benefits from floor to ceiling glass doors that can be opened or closed to create a separate enclosed space - can also be screened with white curtains if required. 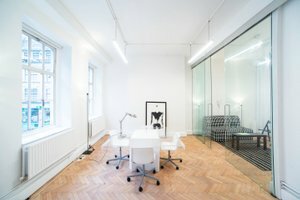 The space is a combination of smooth white brick walls that are paired with beautiful light coloured hardwood parquet floors and 4mt high ceilings, creating a sleek, contemporary design. 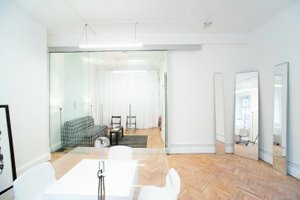 Large windows fill the space warm light making the perfect environment to showcase your brand or event. 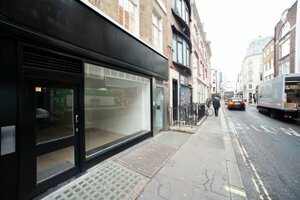 Further 50sqft of space is available on request - project and event management also available on request.